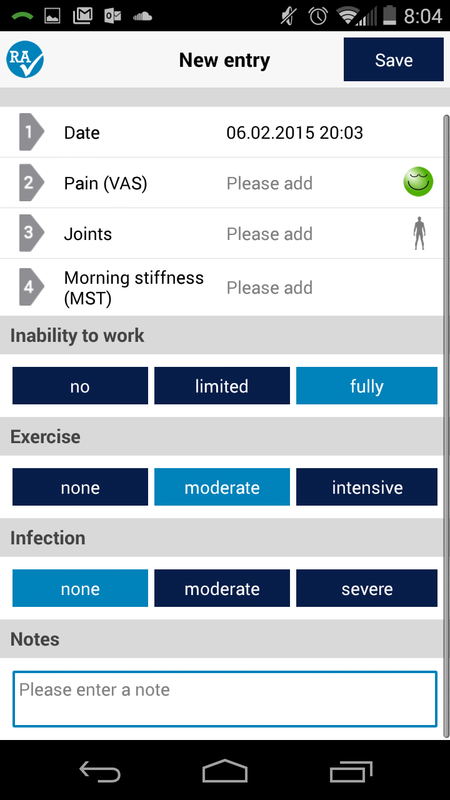 We chose two mobile applications that ideally will help patients collect meaningful information about their symptoms and share them with their doctors in way that they can emit better recommendations. Thus, we looked at three overall assets in the applications: first that the use of these apps don't generate an additional frustration over their health, second that what they are registering can be is easily inputed and third that what's being registered could be useful for the doctor. After some research in the abundant alternatives of applications, we chose RheumaTrack and Pain Coach, even though we discarded Track React and Catch My Pain. Overall, we sought the best ones to ultimately decide which of the two was better. Its fair to say that both have useful and usable affordances, but RheumaTrack does add aggregate value that Pain Coach doesn't. Overall we realized RheumaTrack is a better application because of one particular service or function, which is the way people input their joint pain. 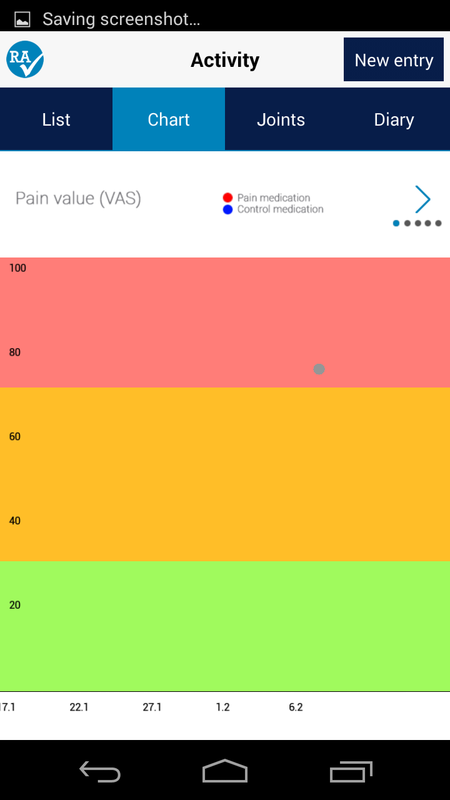 This interface in a nutshell is a meaningful (useful & usable) way for both patient and doctor of visualize and recording the pain condition in a really predictable manner. The overall process of adding a new entry (pain, medication and activity), though a bit clamped is clearer than others and pretty straightforward. This dashboard follows the conventional standards in regards of Mobile GUI design, where items and affordances are perceivable (easily readable) and predictable, and the overall navigation feedback. I could realize two simple UX elements that this could improve, which is whenever adding a "New Check" there's no progress bar to predict how long is this task going to take. The "Activity" interface could visually improve in various points . First, generating better contrast between the data recorded and the layers of pain intensity to enhance perceivability (readability) and the tags' date-format can be confusing. Nevertheless, the overall purpose of the "Activity" service or function is very useful for doctors.